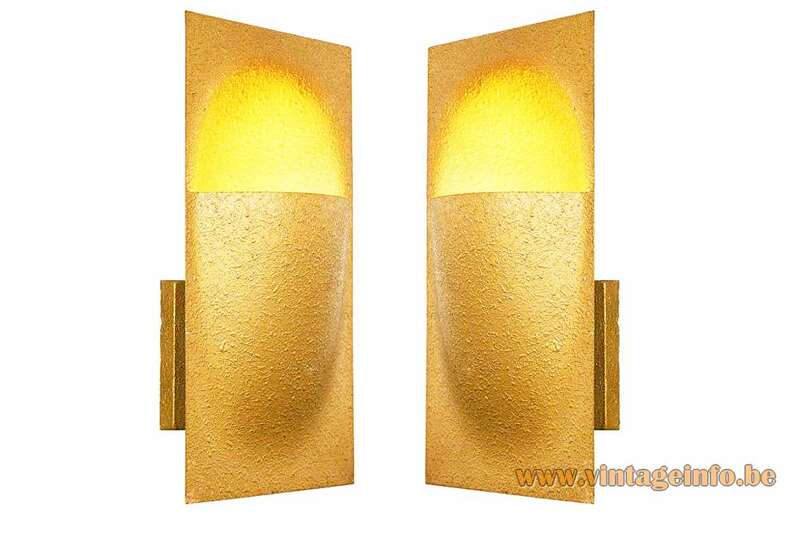 Materials: Gold “safari” coloured metal (brass). 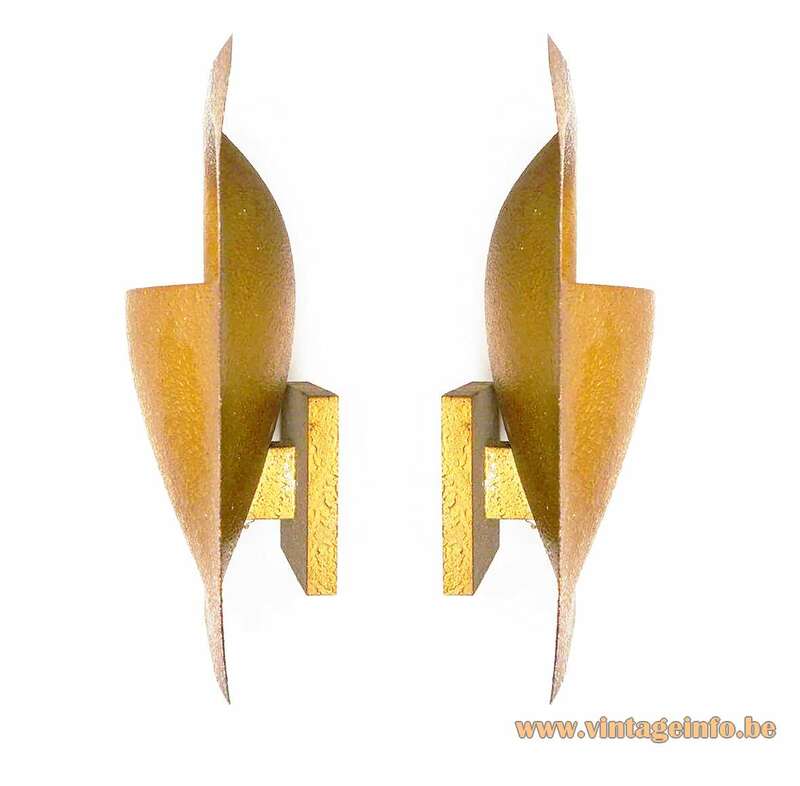 White Bakelite or porcelain sockets. 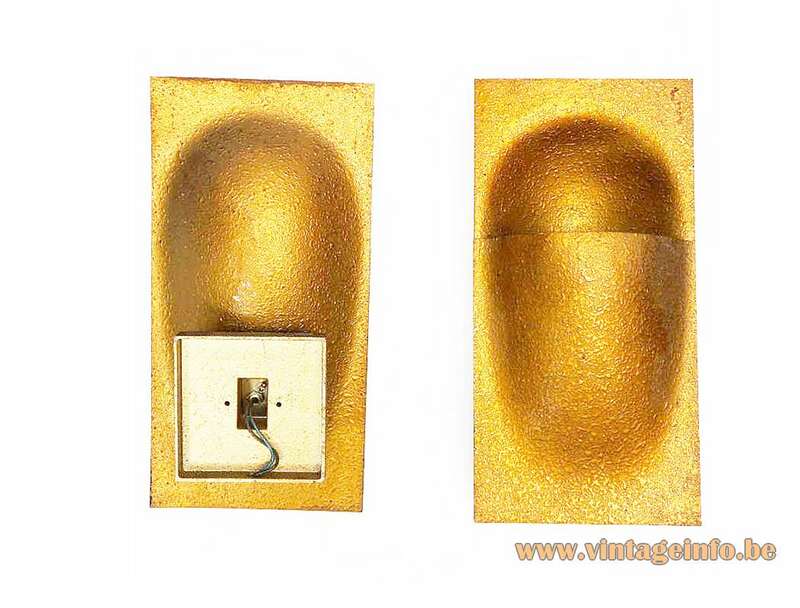 Other versions: Made with porcelain or Bakelite sockets. Also made in the colour bronze-green: C-1551.28. 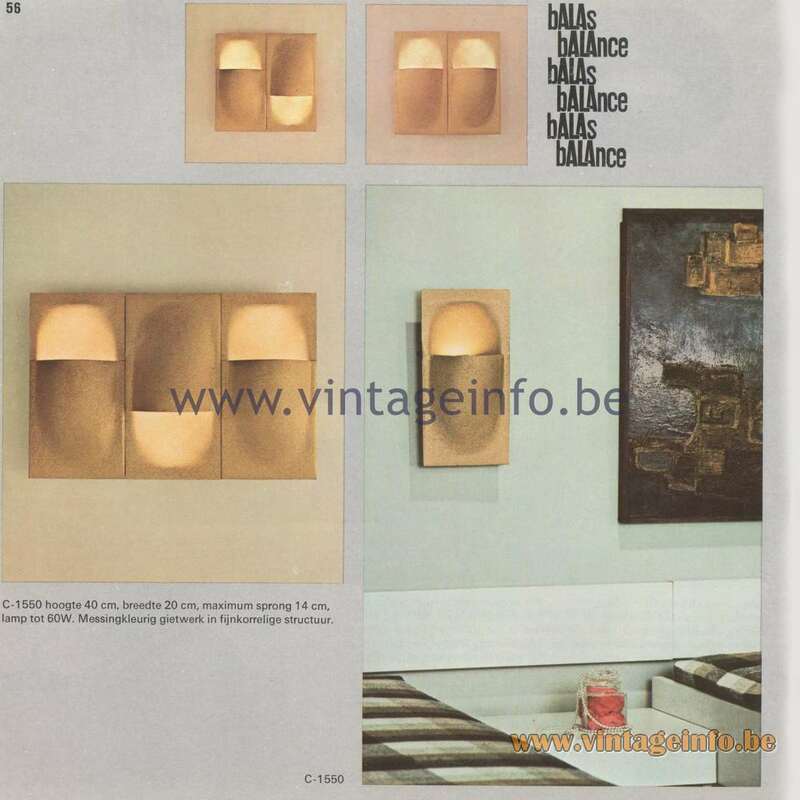 In the Raak catalogue 8 from 1968 the name of the lamp is Balance. 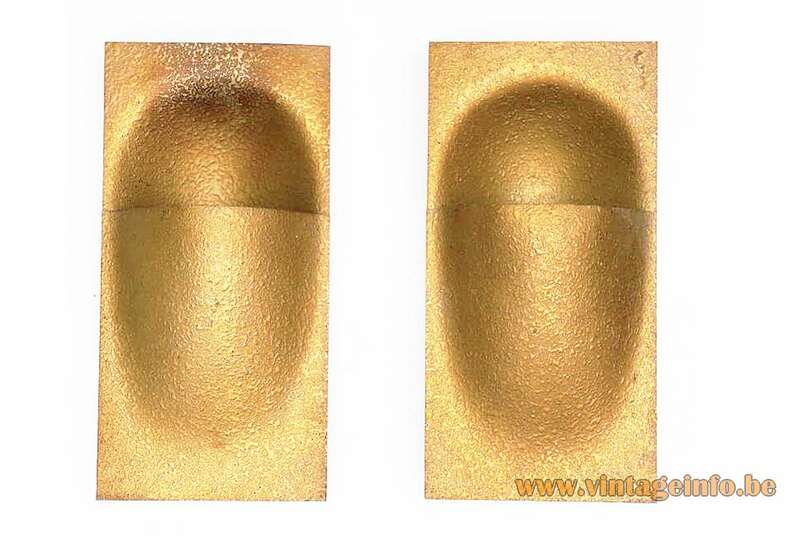 Catalogue 9 says Balas, Balans, Balance. 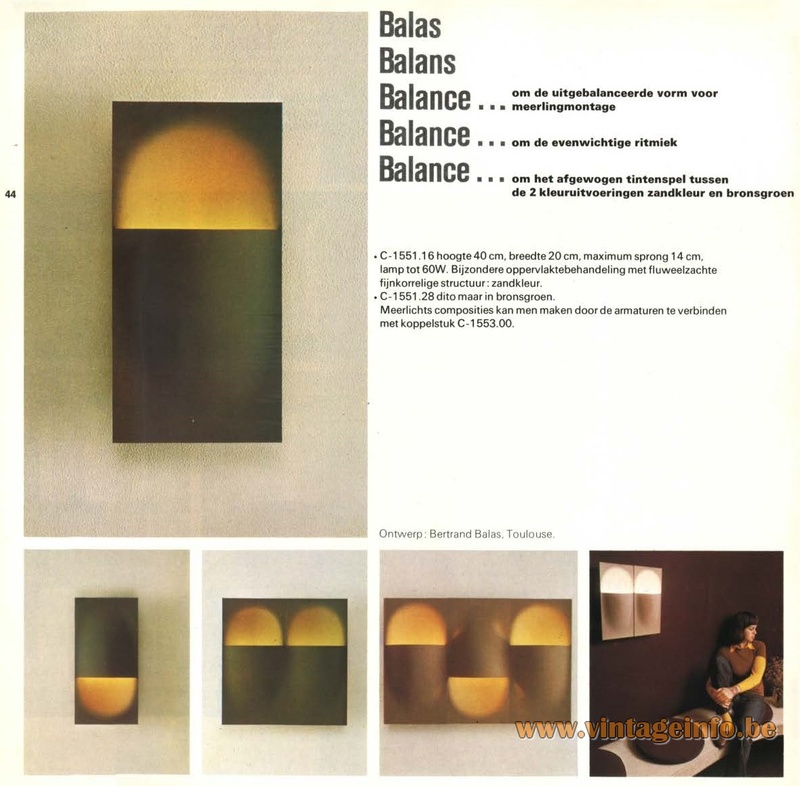 In catalogue 11 from 1978 it’s named Balans, the Dutch word for Balance. Numbers changed over the years: catalogue 8: C-1550, catalogue 9: C-1551, catalogue 11: C-1551.16. A catalogue 10 was never published. 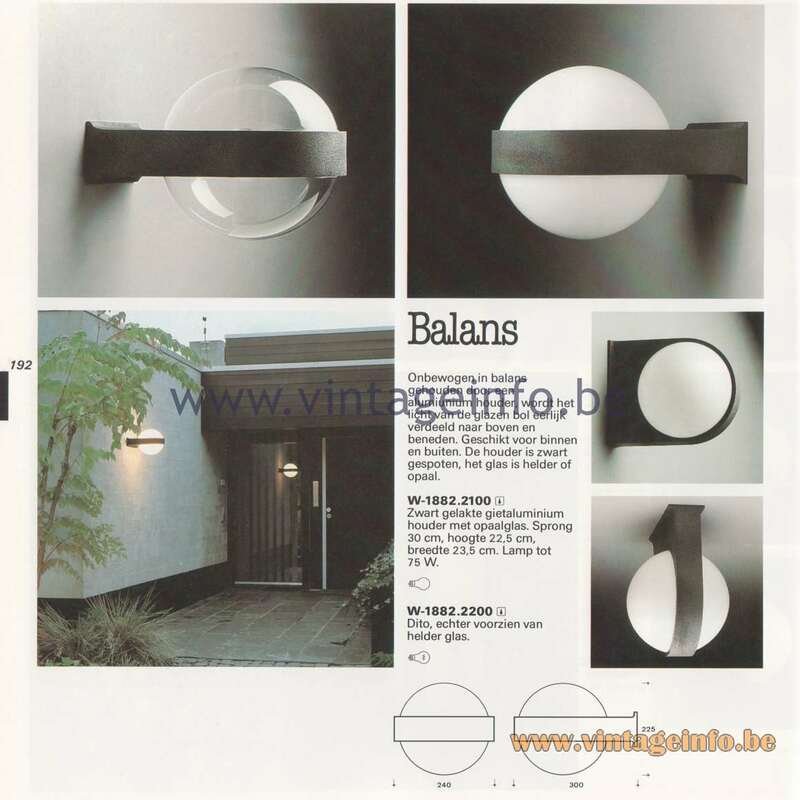 In catalogue 12 from 1982 the name Balans was given to another wall lamp, model W-1882.2100 and W-1882.2200, an outdoor wall lamp, as you can see on the left. Bertrand Balas was born in 1935 in Toulouse, France. Unfortunately, not much information to be found about the designer, decorator and architect. 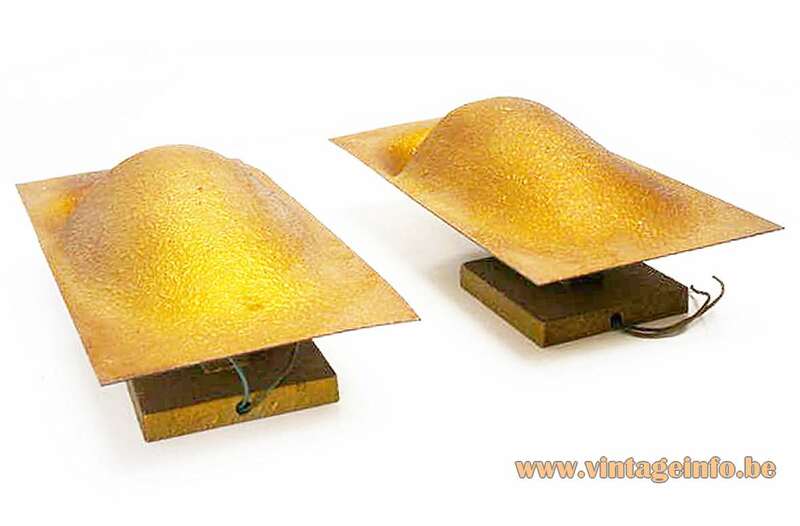 Bertrand Balas designed also the Springfontein (Spring fountain) pendant lamp in 1969, in production since 1970. “Here Comes the Sun” was the original name, after the George Harrison song from The Beatles. But Balas was afraid to use the name in connection with copyright. Since 2015 the Here Comes the Sun lamp is back in production by the French company DCW éditions. Another famous Bertrand Balas exist, born in 1956. He was active as a car racer in the late 1970s, 1980s, 1990s and 2000s. 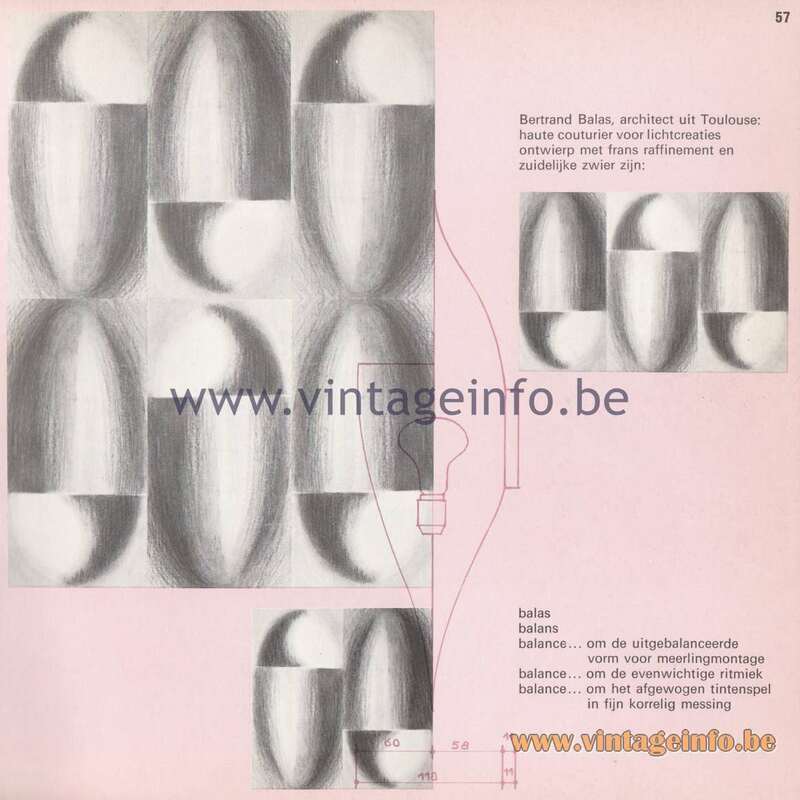 In 1999, Raak merged with Artilite B.V. and Indoor B.V. and became CLA: Centrum voor Lichtarchitectuur B.V. in Drachten (Center for Light Architecture). The Center was founded by Egbert Keen. It was declared bankrupt on 19-05-2011.